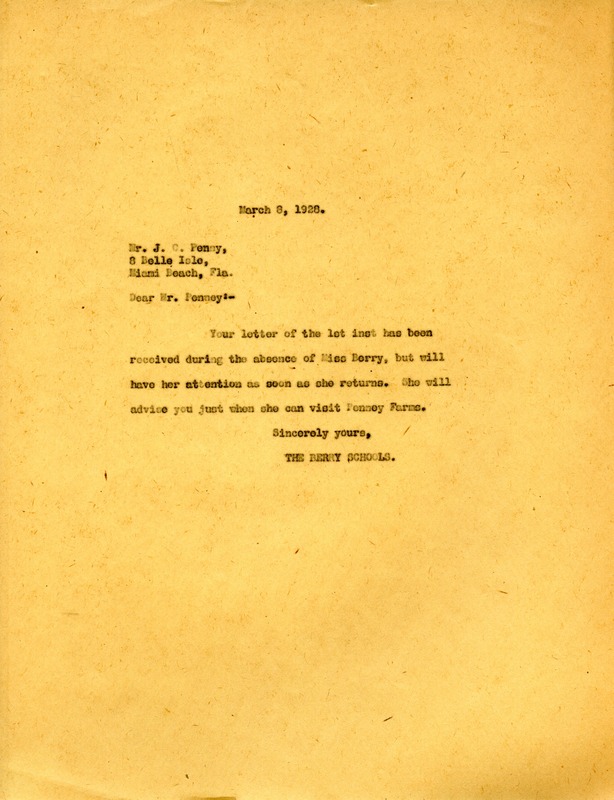 The Berry Schools write to Mr. Penny to let him know that the letter he wrote will be brought to the attention of Martha when she returns. The Berry Schools, “Letter to Mr. Penny from The Berry Schools.” Martha Berry Digital Archive. Eds. Schlitz, Stephanie A., Aaron Jackson, et al. Mount Berry: Berry College, 2012. accessed April 24, 2019, https://mbda.berry.edu/items/show/8656.